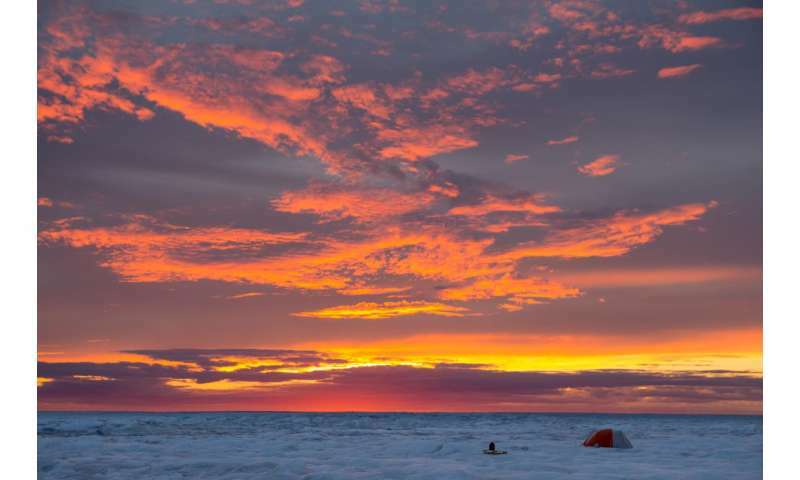 A team of scientists, led by the University of Bristol, has discovered that a marked decrease in summer cloud cover during the last 20 years has significantly accelerated melt from the Greenland ice sheet. The new findings, published today in Science Advances, show that less cloud cover and more summer sunshine allows increased solar radiation to reach the surface providing more energy for melting. Using data from earth-observing satellites and high-resolution climate models, the authors found a consistent decrease in summer cloud cover since 1995. 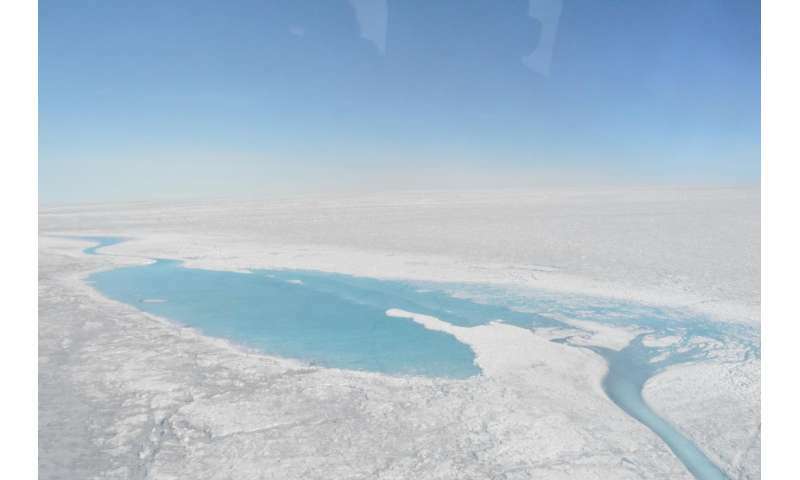 The research shows that a one percent reduction in summer cloud cover is equivalent to 27 gigatons of extra ice melt on the Greenland ice sheet - this is roughly equivalent to the annual domestic water supply of the USA or 180 million times the weight of a blue whale. Since 1995, researchers found that Greenland has lost a total of about 4,000 gigatons of ice, which has become the biggest single contributor to the rise in global sea levels. PhD student, Stefan Hofer, from the University's School of Geographical Sciences and member of the Black and Bloom and GlobalMass projects is the lead author of the study. He said: "The impact of increased sunshine during summer is large, it explains about two-thirds of Greenland's melting signal in recent decades. "Until now we thought that the recent Greenland melt is caused almost exclusively by higher temperatures and the resulting feedbacks. "Our study shows that there is more to the story than the local increase in temperatures and the change in cloud cover isn't just a blip, it's been happening for the last two decades. That was a big surprise." Co-author Professor Jonathan Bamber, based at the University of Bristol, and President of the European Geoscience Union (EGU), added: "We are seeing changes in the large-scale circulation patterns, which leads to more frequent sunshine and higher amounts of solar energy reaching the surface of the ice sheet. "These changes in large-scale circulation patterns during summer are especially pronounced over the Arctic and the North Atlantic. "The state shift in atmospheric circulation is unprecedented in the observational record, which goes back as far as 1850. "This highly unusual state of the atmosphere has been linked to record low sea ice cover during summer over the Arctic Ocean. This highlights the coupled nature of the climate system and the consequences of changes in one component on another." So Greenland is returning to its normal conditions as in the Medieval Warm Period when the Norse raised sheep on the green grass. Good article it addresses ice melt on a non-global warming hypothesis. Wonder how they ever got it published.